Do you have urgent problems with blocked toilets and drains, hot water systems, leaking taps and toilets or burst pipes? We can help you with this and much more! Laser Plumbing Mairangi Bay can take care of a wide range of plumbing repair needs for our commercial and residential clients across the greater Auckland area including Albany, Mairangi Bay, Takapuna, North Shore and Birkenhead. Laser Plumbing Mairangi Bay has a team of emergency plumbers that can assist you in cases of emergency plumbing breakdowns. We offer after hours and same day emergency breakdown services. 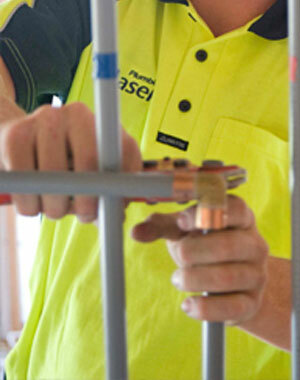 Laser Plumbing Mairangi Bay is available and ready to respond to your urgent plumbing requirements. Laser Plumbing Mairangi Bay is a leading plumbing contracting business providing 'Totally Dependable' service in the areas of residential and commercial service, maintenance and installation. We offer competitive pricing, invest in friendly, experienced professionals and offer complete solutions for all your plumbing needs. We will do our best to show up on time, be well presented and up-front with you regarding the work and take care of your problems with due care and attention. We can take care of all of your plumbing needs, so please contact us to discuss your requirements. Thankfully this man was nice and friendly. He did a good job and was efficient as well. He even liked my scones! Thanks you." The Mairangi Bay Laser Plumbing guys were fantastic. Arrived on time and did just what I wanted. I am happy to use them again next time. Thank you Tony."